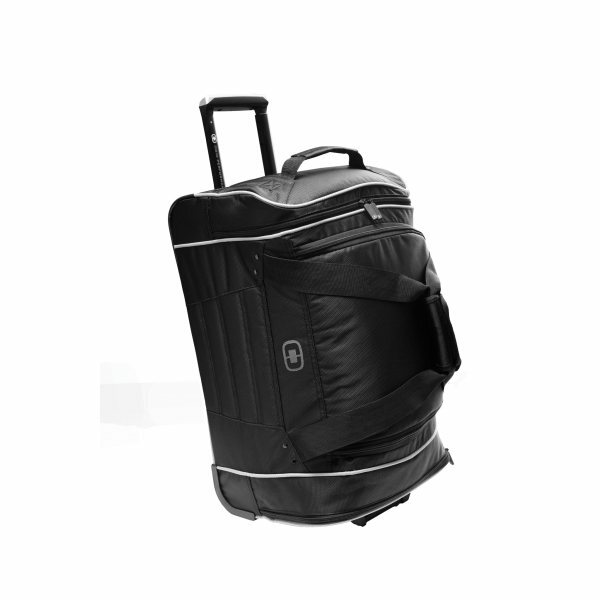 OGIO® - Hamblin 22 Wheeled Duffel. 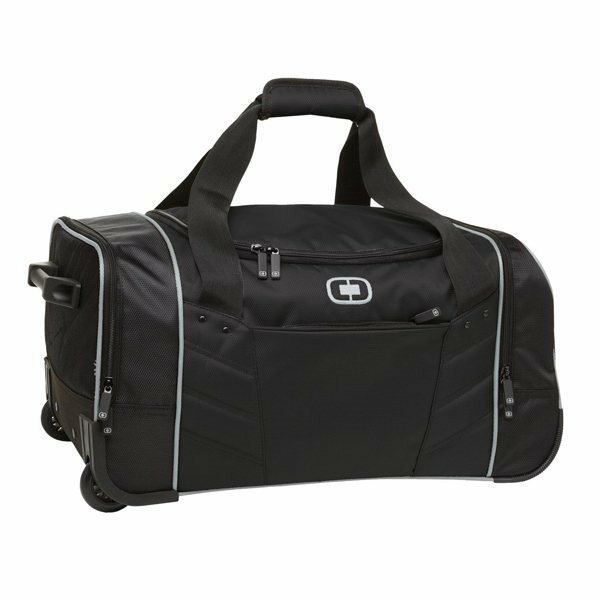 Polyester Center Court Sports Duffel Bag 18"
Skate effortlessly through the airport or train station with this durable wheeled duffel that's sized to fit your trip. Locking retractable handle for optimum mobility. 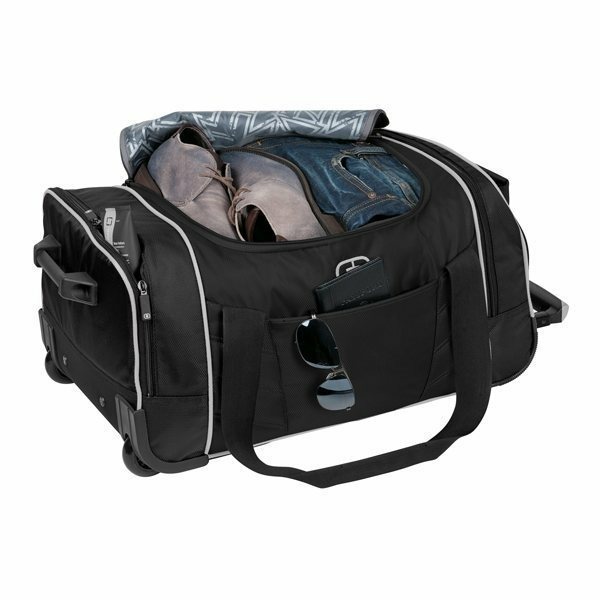 Large center storage area for clothes, toiletries and other travel accessories. Hidden front exterior zippered stash pocket. Side exterior zippered pockets for extra storage. Wrapped handle for comfortable carrying. Strong, durable grip handle on foot, soft grip handles on top for easy lifting. Dimensions: 22"h x 13"w x 12.5"d.
Overall Reviews: WRITE A REVIEW (8)5.005OGIO® - Hamblin 22 Wheeled Duffel. 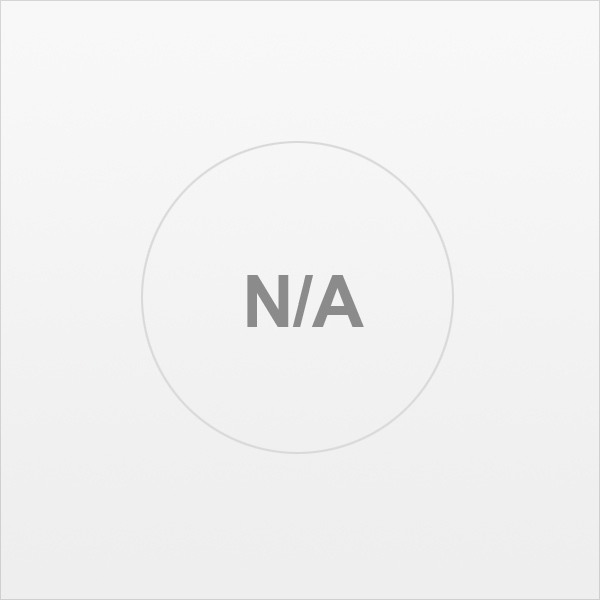 I liked the speed with which my order was given attention, and with the deadline I had, customer service was superb. Great, exactly what I purchased. I loved the price most of all. Nothing to complain about. They look very professional and we are proud to give these to our clients. they looked great. And, our representative was very helpful in fixing the problem. Interesting fast and quality work!